CymtecNeoLite is a compact LED Multiplexer, which requires minimal alignment for smaller, lower cost light engines. 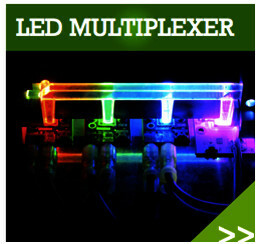 The LED Multiplexer is designed to collimate, colour mix and homogenise high brightness LEDs in etendue restrictive systems. This means that it is possible to create a colour changeable light source with a small emission area and uniform spread of light. This technology is tailored for specific applications ensuring optimal performance. There are many possible applications including Medicine, Biology and Military. Swansea University is collaborating with the characterization and performance of the LEDs multiplexer and measuring the light beam quality. A seed funding to the national funder EPSR has been recently applied.